After all the lead-up to WPPI in Las Vegas last month, it seems strange that it’s really over. But as I look into the rear view mirror, I see it getting smaller and smaller as we drive our brand forward toward new product launches and what will likely be a healthy wedding season. 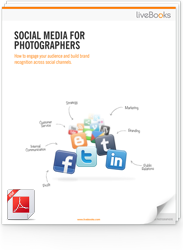 This was my first WPPI and everything that I was told to expect turned out to be true. The crowds were massive, the energy was high, the sessions were informative, and Las Vegas was the perfect town (and the MGM Grand the perfect locale), to host the event. 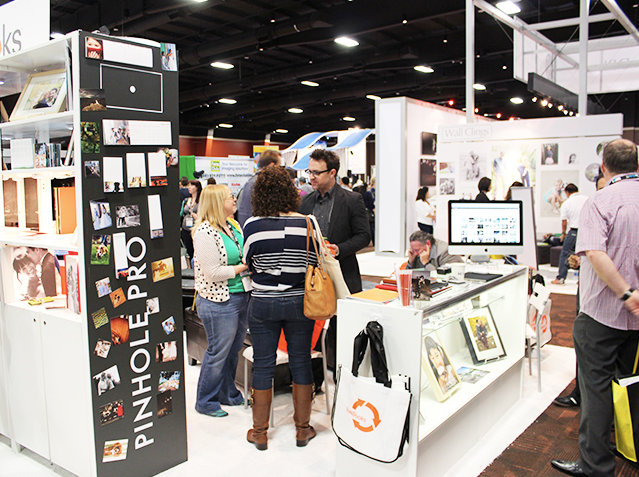 Unlike Imaging USA in Atlanta last January, Pinhole Pro’s presence at WPPI was as an integrated brand beneath liveBooks, Inc. and alongside Fotomoto. For the most part those who were looking for us managed to find us just fine, and when they did they were pleased to note that all of the Pinhole Pro products they’d come to love were on display to touch and feel. 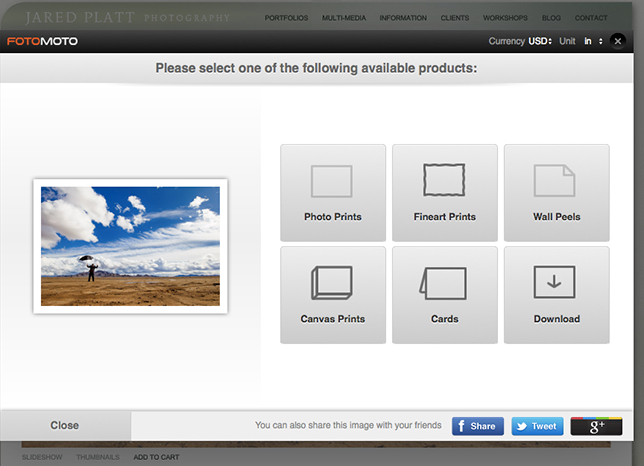 WPPI also marked the unveiling of our brand new Horizontal Panoramic album, which is now available in Pro Studio. Log on to check it out now. You can even save 25% off it and all other Pro Studio product through April 15th when you use promo code PROWPPI. Enjoy! We were fortunate enough to have a wonderful lineup of speakers at this year’s event, including Wedding Photographers Stacie Kirkwood, Barrie Fisher and Jared Platt, commercial photographers Michael Grecco and Mark Wallace, and liveBooks CEO Andy Patrick. Our own Patrick O’Connor walked attendees through all the great custom tips and tricks available to all of us in Pro Studio, and Fotomoto Product Manager Piam Kiarostami spoke about the benefits of Fotomoto. Speaking of which…. 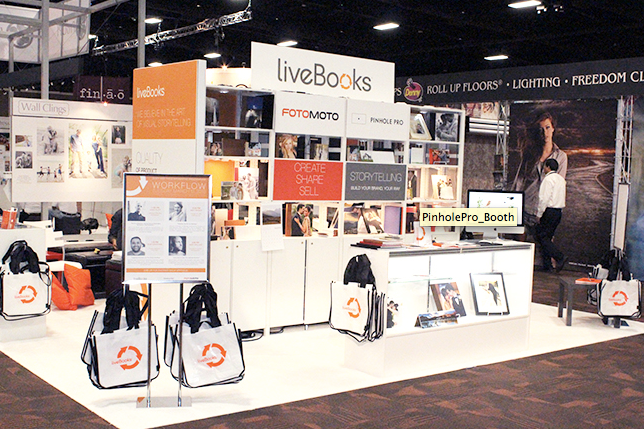 Trade shows are nothing if not an opportunity to sample and demo product, and one of our major points of discussion at WPPI was the integration of Fotomoto into liveBooks websites. 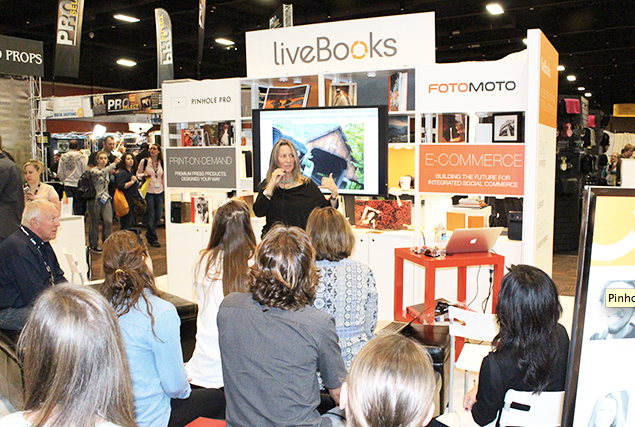 It was great to see booth attendees’ faces continually light up as we showed them how they can sell photos through their liveBooks websites for free. Think of it as an extra source of revenue that you can set and forget. For a sample of what I’m talking about, visit Jared Platt’s site and click the ADD TO CART button at the bottom of the screen. If you like what you see, and I think you will, I’d be remiss if I didn’t let you know that you can now save 50% off a Professional predesigned liveBooks website, which includes the integrated Fotomoto shopping cart option, by visiting liveBooks.com and entering promo code LBWPPI at checkout. Our next major industry event will likely be the PhotoPlus Expo in New York in October, but we are looking into creating a trimmed down booth experience for smaller shows throughout the spring in summer. Please be sure to ‘Like’ us on Facebook and check our Events tab to stay abreast of our upcoming appearances. 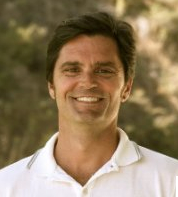 Joe Franklin is the Director of Marketing at liveBooks and Pinhole Pro. When he’s not sending emails, optimizing landing pages and organizing events, he’s running the trails of the SF East Bay Regional Park district or shooting photos of whatever catches his eye.